As a follow up to the article in The Advertiser this week. Why have so few fines been issued to people for smoking in areas where it is no longer permitted? While the article seems to argue that this legislation may all have been a waste of time I would continue to argue the opposite view; any measure that attempts to protect people from the harmful effects of cigarette smoke, especially children is worthwhile. As a teacher in the seventies and early eighties teachers were allowed to smoke in the enclosed staff areas and in the yard; the staffroom was thick with smoke at all times and we had meetings while people smoked. When I complained people told me I was wasting my time. When elected to Council in 1995 Councillors and staff smoked in the dining area both before and after meetings, when I complained I was told I was wasting my time! Things have changed and we are now in the enviable position of seeing smoking numbers dwindling. We are not wasting our time to continue to legislate for change. This last year the Adelaide Show and the Gourmet Gala have both been smoke free events, smoking is banned at the swimming pool. Rarely are hotels fined for selling alcohol to drunks and yet the offence must happen many times each day in many venues, does this make the legislation flawed? We Australians are generally a law abiding and compliant bunch, if it's against the law we don't do it and so the smoking legislation has no doubt changed the behavior of many and protected any more. What's new at Clarence Park CC? Corn or Zucchini Fritters with Ranch Dressing, Sticky BBQ Ribs and Home made apple pie!! This meeting was long and sometimes arduous as elected members spent time discussing (rather than debating) issues. It seems some Councilors like to dominate the debate even if they have little to say. Even the tone of questions to those brave enough to make a deputation was disappointing. There were two deputation from Kiranari School. 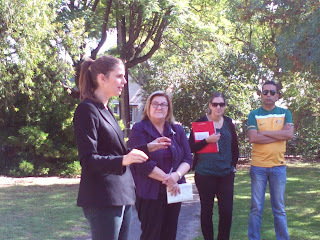 After selling the piece of land they use as a playground at 41 Oxford Tce to Council 13 years ago they have not paid a cent of rent for the space. After being made a reasonable offer for lease the school has declined and Council must now decide what to do next. The impassioned deputees spoke of Council wanting to use the space as a car park ; this was debated and dismissed before my time on Council. They also rejected that an offer had been put to them for rental. In the end a compromise was reached for a short term lease until the end of 2014. Many items were reserved from the committees for further discussion as the teething problems with the new section 41 committees are ironed out; these include the addition of over $100,000 of additional expenditure of initiatives to support the aged in the 2013/14 budget considerations. While I support the initiatives proposed I'm left in wonder as to why staff did not present them to Council for consideration during the initial budget discussions. Titled "An idea too remote' it seems that not only does David Penberthy not respect the work of local government neither does the Advertiser in again publishing an item written by Alexander Downer slamming constitutional change. What starts as a logical and well researched article makes such giant leaps of logic as to be laughable. His last logical line is '.. nothing can stop the Federal Parliament sending the money to states' grants committees which distribute it on an equitable basis to individual councils'. However, while they are able to do this they tend to make decisions based on winning elections and not need. The truth is that the constitutional change is about how funding occurs and not about how local government works. If your federal politicians have the time to worry about what type of wheelie bin you use I would be very surprised! Local government will not be under the thumb of the federal government with or without the change, but we might just be able to wrangle a better funding deal without the state government wanting not only it's share of the funding itself but a say on where and how it is spent. Sunday the Ahmadiyya Muslim Women are having a bazaar, open to all women, at Clarence Park Community Centre. The event is between 11am and 3pm. If you want to have lunch or purchase items you are more than welcome. This is a unique event and will give you an insight into this small group and their culture. Last year this was a great event, I encourage you to attend. I will be going with some of my Aboriginal students to enjoy the morning. Heywood Park, Addiscombe Place, Unley Park. This year the focus will take the national theme of "Let's Talk Recognition". Eddie Peters, a traditional Torres Strait Islander man will lead our event at Heywood Park on 31 May 10am. The event will be a mixture of traditional greetings and their cultural significance, interactive music and dance and presentations by local schools. Should the weather be inclement, the event will be held in the Town Hall Oxford Terrace off Unley Road, Unley. 'Most sensible people show no interest in local government'!! I have lifted this quote from David Penberthy's article in today's paper. While almost all the article was a ridicule of some Adelaide City Councillor's view about North Adelaide he couldn't help himself and had to have a shot at local government in general. As a resident of Wayville and the husband of our Federal Adelaide member (Kate Ellis) this is a pretty short sited view. How long do you think it would take for him to realise just how important this arm of government is? What about if we ask the rubbish collectors to pass by his street, if Council fails to collect the hard rubbish, if no fines are issued during the show and people park across his driveway if the swings in the park that his children use are unsafe,etc. The only person with a short sited view is David himself, local government is important and you should take an interest. If you are sensible you will probably take more interest than if you are not. This story managed to make The Advertiser this morning. While nothing in it is new the information is concerning. The full story can be read on page 7. Hopefully, this may lead to further enquiry and change in practice. Full marks to John Stokes for taking on the issue. The bird boxes proposed as a sweetener to residents as the areas devastated by the current rail works are reinstated was one piece of good news. Even better is the following through of this project by the students at Black Forest Primary School using the facilities at the Clarence Park Community Centre's TOYS (Together Offering Your Skills) facility. This has been a great opportunity for the kids to learn new skills and to work with older residents in preparing the boxes. The new coffee shop on East Ave is now open for business. 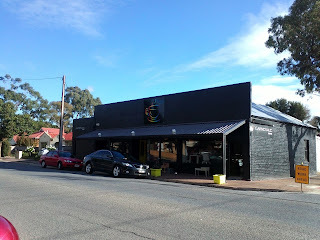 While I am yet to stop in for coffee the building looks pleasant and inviting. It's good to see retail having a go on East Ave again. This is an updated picture from the recent shots I posted as What happens when it rains? Well this looks like the answer. I have remained concerned that the single pipe that allows water to exit this structure is inadequate even as a temporary solution. After recent rains this is what it now looks like. DPTI are responsible for building this structure and ensuring that it is adequate to provide an outlet for Brownhill Creek at all times during construction I believe that DPTI have been reminded by Council that this needs to be cleared as a priority. Thanks to the resident who provided the photo. Princess Margaret Playground was reopened this afternoon at 3 00 pm. With new play equipment, BBQ, Shelter and auto locking doors on the toilets. Now is the time to take the kids or grand kids for a walk to see how good it is. 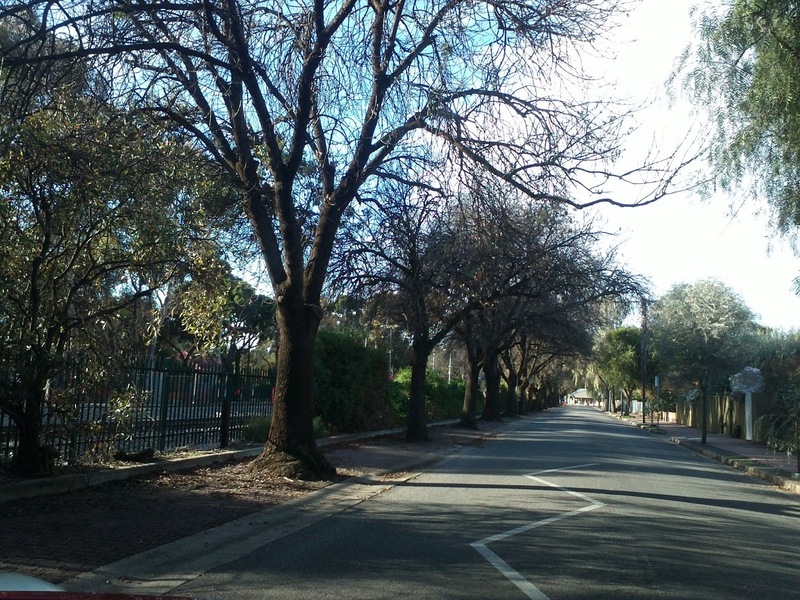 Some concern has been raised about he trees along these streets being unable to be replaced if they are removed. the recent survey of residents resulted in a return rate of 33% with 82% of these respondents favouring the removal of the trees. The replacement choice was split 50:50 between Crepe Myrtle and Ornamental Pear. No decision will be made on when they are replaced until after the Black Forest LATM is completed and a design agreed to for Canterbury Tce (traffic management). However, staff have assured us that trees can and will be planted in a similar location to where they are now. The clearance zones recently letter boxed by DPTI were alarming and people had every right, given DPTIs track record, to suspect that this might not be the case. Staff are also considering under-story planting to better visually screen the trains. David Bartlett, manager of the Greenways Project, is speaking to Council on Monday, if you have any questions you would like answered then please let me know. No wonder everyone is Confused? The following are responses from DPTI about the rerouting of traffic when Leader St is closed as it has been already a couple of times and is likely to be in the future. Residents have complained about this again and again to DPTI, Steph Key, Theiss York and others. The following are DPTI's responses this week to myself and others. It certainly is convenient to have some one else to blame!!!! It seems that a traffic management company plans the route and it is then approved by DPTI AND the council. Leah St 25km speed limit; What's taking so long? As most of you are aware the request by residents through their Councillor, Bob Schnell, has been sitting on the Minister's desk. Tom Koutsantonis has now been sitting on this for over 2 months. We were told last Friday that their was a hold up because Council was yet to provide further detail on a particular issue. So after it sitting unread for months Council have now been asked to provide a Traffic Impact Statement. This would be a major piece of work and could take months to get completed. You guessed it, Council will be unable to provide it until after September when the reduced speed limit would no longer be required. To me this sounds like just another delaying technique. Council CEO will meet with the Minister later this week to further the matter. Interesting to read the article on rate rises in this mornings paper. Unley's proposed rate rise is 4.5% and not the 5.1% as quoted (who knows where they get that number from). Hopefully, they got the others right and there is some validity in the article. Daniel Wills titles his article 'Rate Relief', with some of the lowest rate rises in recent years and nearly all lower than last year. To some extent this reflects lower inflation and reduced rate of increase in Council's costs. David O'Loughlin, the incoming President of the Local Government Association describes most of the pressure for increases coming from increased expectations from the community about the level of service they expect. This would certainly be true in Unley as people expect well run Libraries, Community Centres, sports facilities and swimming pool along with well kept parks, gardens, footpaths and roads. All this and new infrastructure to enable flood protection, water recycling, solar powered street light,etc. referendum regarding Constitutional recognition of Local Government at the September election. 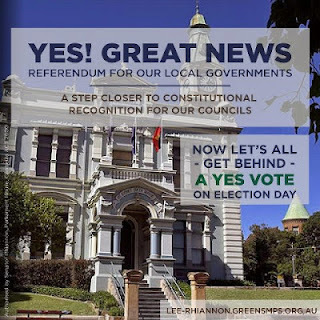 While I am sure much press will follow from this and your letter box will continue to be stuffed with election material long after you have decided how you will vote, this recognition is long overdue. It will mean the Federal Government can make direct payments to Councils rather than the money coming via the state government with all the delays and red tape along the way that add to costs and cause delays. This will be hopefully, only the 9th referendum since Federation to pass. Try the link below for the ABC's view. Everyone is saying you have to be on social media but before you even start there are some key points to look at. Simone will take you through the different platforms out there and the ‘pro's and cons’ but also help you to look at the resources required to maintain your social presence, the type of content you should utilise, how to determine where your customers are and what they are doing in the social landscape. Simone is a dynamic and engaging facilitator with over 17 years in corporate management roles encompassing generalist HR, recruitment and development of small to large teams across multiple sites, industry sectors and states. She is experienced in a variety of social media platforms and their complimentary applications, social media strategy, risk management, disaster recovery and associated HR policies and processes. When is a Decision Not a Decision? 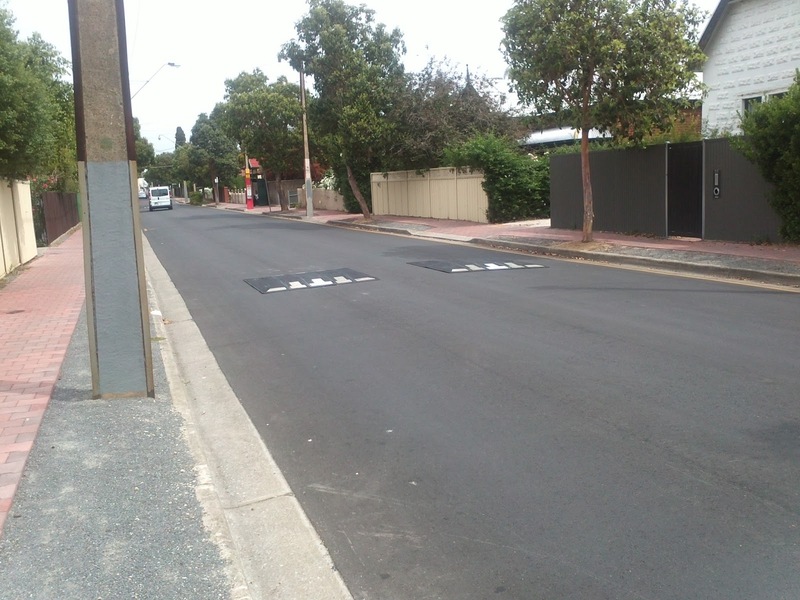 This Wednesday we have a Special Council Meeting to decide whether to proceed with a pedestrian refuge in King William Rd (near the corner of Arthur St). This has already been to Council at least twice and the Road Safety Committee the same number of times. I initially believed the selected location was not the best site and had a decision deferred about 18 months ago while further information was gathered. Despite making a fuss at Council and receiving good press coverage not one person contacted me to support my proposal including most of my colleagues.This then came back to Council for a decision and I supported what the Ward Councillors wanted as that is usually a good way to go. When should public consultation end, during the allotted time or anytime before its built?done? Why don't those who like the proposal say anything? If we consult 200 people and 16 don't want it and 15 do are the numbers 16 to 15 against or 194 to 16 for? What value is a petition after the deadline for consultation? What value do signatures have on a petition if they people don't even live in South Australia? For me as a Councillor this gives me a dilemma, we have made a decision should we stick to it or should we delay, defer and seek more information for ever? This has been the case for too many projects to count in the last few years, some good and some not so good. Much staff time and effort has been wasted and the money spent on this has not gone to projects that would otherwise have been completed. How am I going to vote? I really don't know after all it is a $15,000 decision and not one worth millions. It has the potential to save lives and if we need another crossing somewhere else on the street, what the heck, put in another one! Maybe the other one will go where I thought it should be in the first place. Many of you will have received a flier from concerned resident about arsenic contamination in the railway corridor. My understanding is that the information in this flier is correct. I have, as yet, not had an opportunity to read the full document but will later this week. However, I remember very clearly residents expressing extreme concern as the dust swirled around their homes as the project began. I attended the Community Advisory Group meeting soon after that and everyone present was told the the arsenic levels in the dust were not harmful to human health either as a resident or a worker on the site. However, if the arsenic levels in a soil sample near SASMEE Park shows 910mg/kg then it should have been treated with extreme care to ensure no contaminated dust entered the air at any time in the past or in the future. This issue will continue to have major impact on everyone near the project. Hopefully, some answers will be available soon. I attended this meeting on Saturday morning at the Dora Guild Playground. There was probably no more than 20 people there. It's good to have the 3 levels of government represented in one place (hard to blame each other then). Most of the conversation was about genuine Federal issues such as he Gonski funding for education and the National Disability Insurance Scheme. I think the answers to these questions raised more questions than answers and I'm not confident that the kids in my school are going to get more money in the global budget or individually through the NDIS ( I manage Special Education at my school). in helping to set up the G-RAG group and it is functioning well. 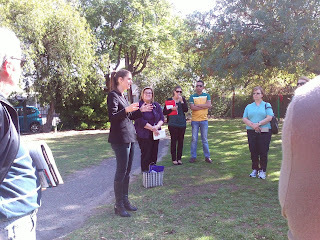 However, residents want things done that are in the Minister's hands (Tom Koutsantonis) and she needs to get him moving. There is no point in trying to reduce the speed of trucks in other residential streets near the work site if the paperwork for Leah St has gone unsigned for months. The only local government concern was repairing he footpath in Cowper Rd which I will get onto this week. There seems to be less people at every meeting I attend, less staff from DPTI and Theiss York and less residents. The composition of people attending is forever changing, some seem to have given up as they have become sick of being fobbed off and others start coming as the project starts to affect them more deeply that they ever could have imagined it might. Last night's meeting could well be described as the one where no answers were given. We didn't get clarification about G-RAG's concerns from Open Day, we didn't get an answer about the Cowper Rd trees, we didn't find out if the temporary sound mitigation in Devon St was working and we didn't get an answer about the gate access on Cranbrook Ave.
We did get information on the vibration machine and an assurance it couldn't harm properties if it were > 10 meters from foundations and that they were aware that nearly all the houses are heritage properties; this seems to contradict what people are seeing and feeling. However, you can still seek a dilapidation survey of your home if you feel it is being affected. Residents asked for parking control in Railway Tce between Devon St and Essex St with additional traffic direction at the corner of Essex St and Railway Tce. This may be achieved and also cause the trailer and junk parked in the street to be moved; this should increase safety for cyclists. I did get an answer about dust and soil management although this is yet to be conveyed to the resident that requested the information. The corridor itself is contoured to minimise run off and water entering from the streets, most surfaces that are used regularly have hard stand installed and the surrounding streets are swept mechanically almost every day. I feel especially for the residents in Richards and Nairne Tce who have remained so pleasant and polite through this process to get, so far, have gained little more than a promise to get a corrugated iron fence replaced with, you guessed it, corrugated iron. Once again this could easily be made higher than the standard 1.8m and have a little landscaping along the edge to soften the impacts at DPTI's expense. Residents are also angry that the closure of Leader St for some time this week is failing to direct traffic to stay on the major arterial roads and increasing the traffic in local streets. 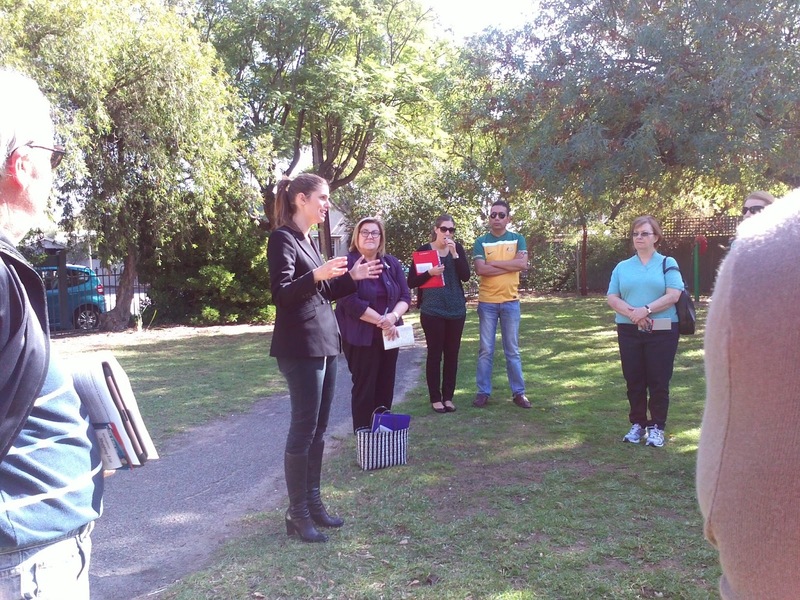 GOODWOOD residents have backed a plan to create a green buffer between their homes and the Belair train line. Unley Council decided at a meeting last week (April 22) to investigate asking the State Government to sell it a parcel of land in Devon St South. 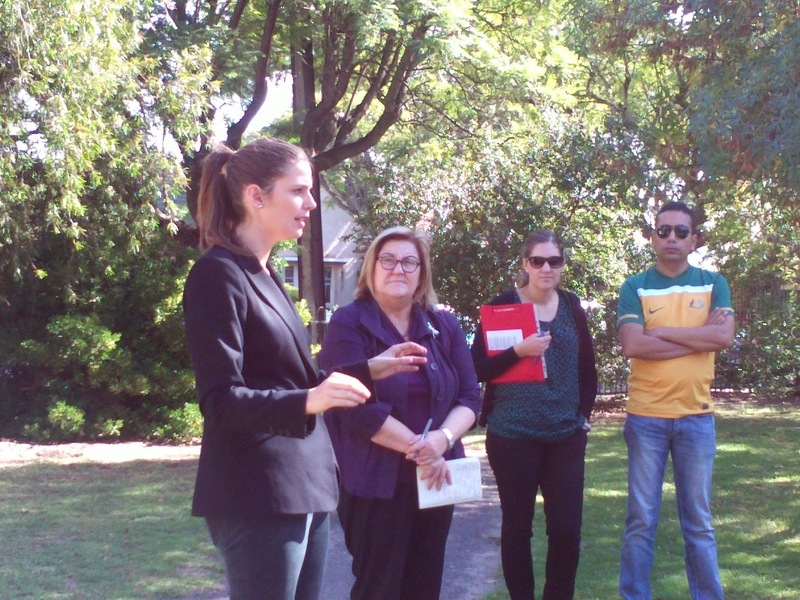 The push, lead by Cr Jennie Boisvert, comes as Goodwood residents lament the loss of vegetation near their houses as part of $110 million project to separate the commuter and freight lines. The Transport Department has already offered the council a small triangular piece of land on Devon St South, but residents believe the area leaves little room for proper revegetation. The council hopes securing a larger parcel of land will allow it to create a small park, known throughout Unley as a pocket park’’. It would mean residents would be able to look across the street to something that is attractive and restore an area that looks like a war zone,’’ Cr Boisvert told the meeting. Goodwood Residents Action Group member Mary Heath told the Eastern Courier Messenger she was happy the council had listened to residents’ concerns. This gives us hope that we might be left with something green in our street and a possibility of replacing trees that we have lost,’’ Ms Heath said. A report on the feasibility of approaching the government to buy the land would be presented to the council at a yet to be determined date. A Transport Department spokeswoman said the department was unable to comment until it received a formal request. The Local Area Traffic Management plan for Black Forest has finished collecting data and Tonkins are now putting together a plan that responds to this information. The draft plan will be present to Don and I at our next ward briefing. It will then be modified by our feedback before it is publicly consulted. Leah St speed humps are receiving more and more negative feedback including a petition form First Ave presented to the last Council meeting. A pavement bar will be installed at the corner of Lynton Ave and Millswood Cres. After much negotiation the original design has been modified. The owners of the Black Forest Shopping Centre will be sent a reminder that they need to comply with their development approval in the way that rubbish is stored behind the buildings. The street sweeping trial has completed and received an enormous amount of feedback. This is taking longer to collate than expected. After some complaints Council will seek consent from the DAP to remove only one of the significant trees that an arborist recommended for removal in Aroha Tce. Council are about to consult about landscaping as part of the Greenways Project from East Ave to South Rd. 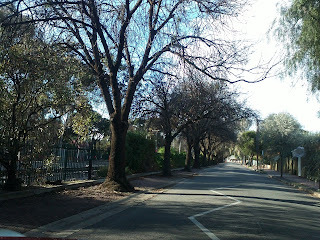 Council are currently consulting about the removal of the dead and almost dead trees in Parker Tce and Canterbury Tce. This is a total of 50 trees. Replacement species have been suggested that residents are being asked their preference on. Langdon Ave residents did not all agree on exactly which trees could be removed and which not, a final plan has been sent out for final consent on tree removals and replacement species.Consultation has begun on the removal of the tree which is significant at the eastern end. Lorraine Ave and Lonsdale Ave are to be resealed this week.